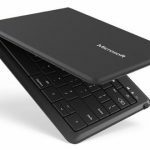 Samsung is already a dominant force in Android smartphones and Android tablets and it has just set its sights on reaching the top in the Windows 10 tablet category with the Galaxy TabPro S.
The 12-inch device has been released at a time when customers are looking to the latest tablets to take on the role as their laptop as well. 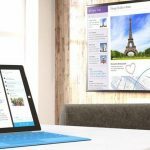 We’ve seen products that tick the boxes in this “super tablet” category including Microsoft’s Surface Pro 4 and Apple’s family of iPad Pros. 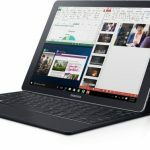 Samsung has become the latest player in this segment with the Galaxy TabPro S.
It’s an interesting move for Samsung to make a tablet running Windows 10 – an operating system that’s equally at home being navigated with a mouse or via a touchscreen and that offers the same experience across devices. Samsung, unlike Microsoft and Apple, don’t have smartphones that run the same operating system as its super tablets. Microsoft has its Lumia smartphones running Windows 10 while Apple has its almighty iPhones running iOS. Samsung’s flagship smartphones are running Android – and there is a new way for the devices to connect – but more on that later. But that aside, Samsung has made quite a powerful tablet with the new Tab Pro S.
The Samsung Galaxy TabPro S is a knockout. 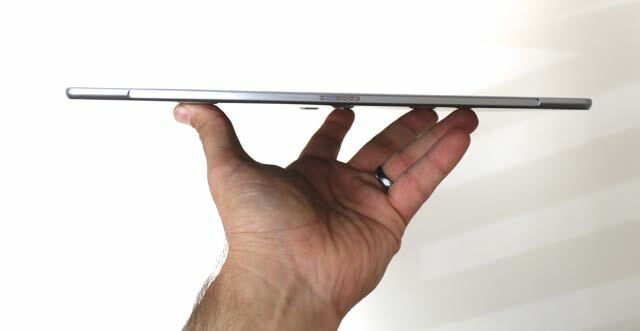 It has a beautiful thin design – it’s just 6.3mm thick and weighs in at a featherweight 620g. It’s obvious Samsung is using the same toolbox that created the eye-catching Galaxy S7 and S7 Edge. It has the same premium look with silver rounded edges and a build quality you can feel as soon as you hold it in your hands. The TabPro S comes with a cover case that not only protects the device but that also provides a six-row full keyboard and trackpad. So out of the box you’ve a true 2-in-1 that can be used as a laptop when not being used as a tablet. Microsoft’s Surface Pro tablets keyboard covers need to be purchased separately. 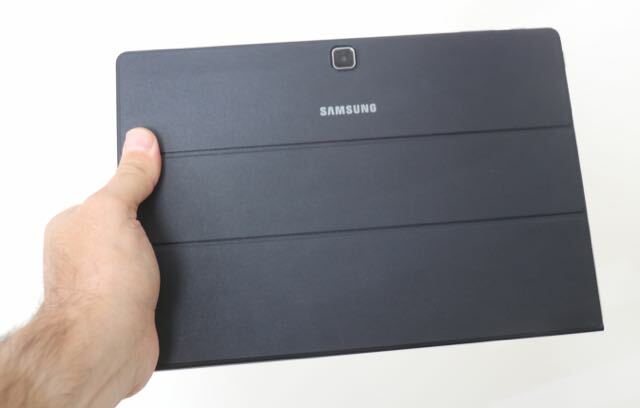 The Samsung tablet connects to the leather-like keyboard case with a magnet along the base and on the rear panel of the device to position the screen comfortable for typing and viewing. There are only two angles available for the user but either will cover what you need whether you’re working, viewing or playing. Its keyboard is sturdy and provides a reasonable typing experience for those times when you need to be more productive or when you need to type out an email or work on a document. And when you’re done you can detach the base of the tablet from the case and fold it up into a svelte package that’s thin enough to carry anywhere. The Samsung Galaxy TabPro S has a 12-inch full high definition (2160 x 1440) Super AMOLED display that, in usual style from Samsung, is a real dazzler. The tablet is running your choice of Windows 10 Home or Windows 10 Pro with the entry level modes equipped with wi-fi only and the top of the model adding 4G LTE connectivity. Onboard users will find 4GB RAM and 128GB of memory. Having Windows 10 means users can operate within a real computer environment to access their favourite applications that can be navigated either through the keyboard and trackpad or via the device’s touchscreen. So you also have access to full versions of applications like Photoshop or Microsoft Office. And, thankfully, Samsung has not loaded the system with bloatware like some other PC manufacturers tend to do. One feature the company has included is Samsung Flow which allows users to link their Galaxy S7 and S7 Edge. Samsung Flow needs to be installed on the Galaxy smartphone as well. 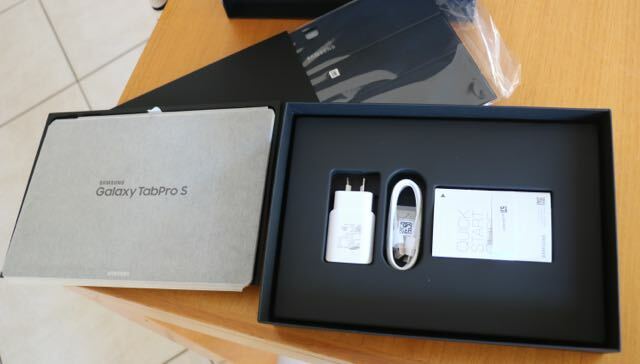 Once the TabPro S and the Galaxy Smartphone are linked it then allows users to unlock the tablet using the fingerprint reader on the smartphone. The TabPro S doesn’t actually have a home key so there’s no place to position the fingerprint reader. Samsung Flow also makes it possible to read and reply to your text messages and see all of your notifications. A nice feature but it would have been better if you could transfer data and documents like Apple’s AirDrop. Hopefully it can be upgraded in future to support these uses. 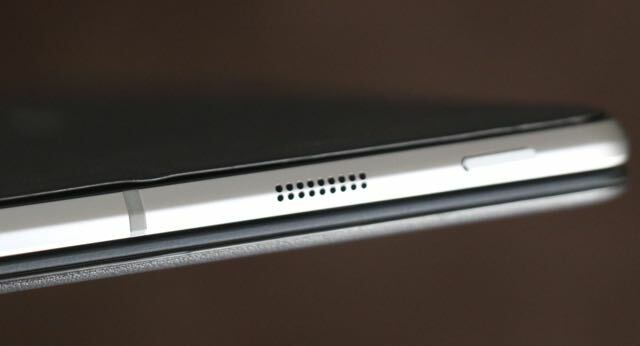 On the back of the device is a 5-megapixel camera and also a 5-megapixel camera on the front as well. You can write on the TabPro S screen with a special Bluetooth pen that’s sold separately. Microsoft’s Surface Pro 4 comes with the Surface pen but doesn’t include a keyboard cover. Samsung has gone the other way with an included keyboard case which we think is the better accessory to include. Not everyone will want to draw, but everyone will want to type. 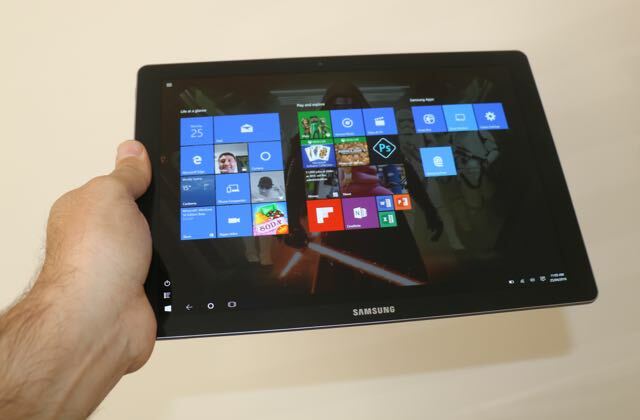 The Samsung TabPro S is powered by an Intel Core M processor with a CPU speed of up to 2.2Ghz. It’s fast and you’re not going to be left wondering if the device will be powerful enough the get through your tasks. So don’t think the fact the TabPro S tablet is so thin and light means it’s not powerful. Not so, the device packs a real punch and it will be satisfying for those users who take the plunge and decide to purchase the Samsung TabPro S instead of a new laptop. If you’re going to compare the TabPro S to the Microsoft Surface Pro 4, you’ll discover good, better and best options with the Microsoft tablet that also come with higher performance but also higher prices as well. Obviously if you’re workflow includes processor intensive tasks like 3D animation and video editing or you want to play high-end games, then you’ll need a computing device more powerful than the TabPro S.
Although, on the gaming front, the Samsung Galaxy TabPro S does allow users to stream games from their Xbox One console and even use the Xbox controller. But for general real world use handling applications, documents and enjoying connectivity anywhere, the TabPro S won’t miss a beat. On the battery side, the Samsung Galaxy TabPro S cruised through the day and we got about eight hours of use before we had to connect the charger. This was a nice surprise when you consider how thin and light the device is. It will power through a work day with ease. And when it comes to charging, it will get back to 100 per cent battery in about two and half hours with the supplied charger. 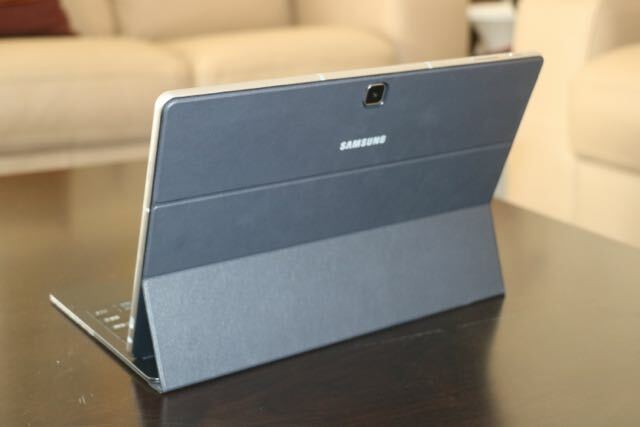 OK, we’re a fan of the Samsung Galaxy TabPro S but there were a few things we didn’t like. 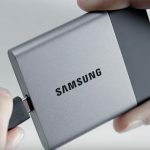 Being marketed as a potential laptop replacement, it would have been great to have more connectivity like a USB port. There is one USB port on the TabPro S – a USB-C port, not a regular USB port so if you wanted to connect a thumb drive you need to buy an adaptor. Here’s where the Microsoft Surface Pro 4 has the edge, it has the same USB port you’ll find on a regular laptop whereas Samsung has opted for the next generation USB-C port just like Apple with its popular Macbook laptop. Another feature we would have liked to see is a memory card slot. 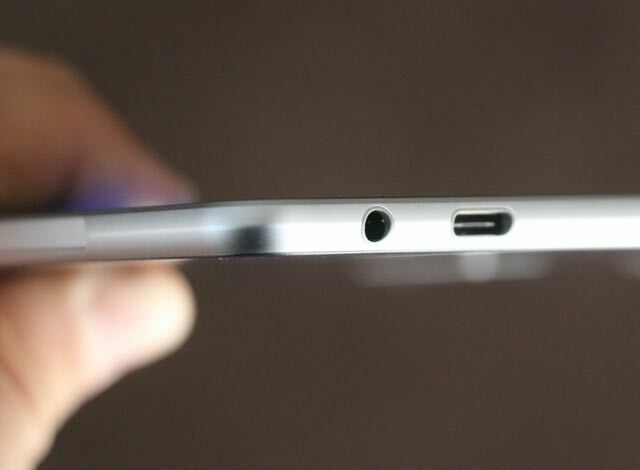 No matter how slim Samsung wanted the device to be, there could have been room for a microSD card slot. Occasionally we had issues with the keyboard cover with the trackpad deciding not to work. Going from tablet mode to laptop mode also didn’t go smoothly. When we attached the tablet back to the case’s magnetic connection, the TabPro S would think it was still in tablet mode. We also noticed this would happen when the device went to sleep in laptop mode. We couldn’t wake up the device through the keyboard but by only touching the screen. 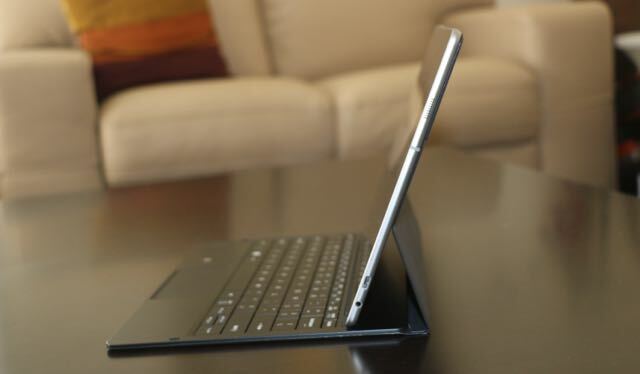 We would have to detach and re-attach the tablet to keyboard to get it in the right mode. The speakers on the TabPro S are good not great and aren’t very loud at all. They’re not a patch on the speakers on the iPad Pro. 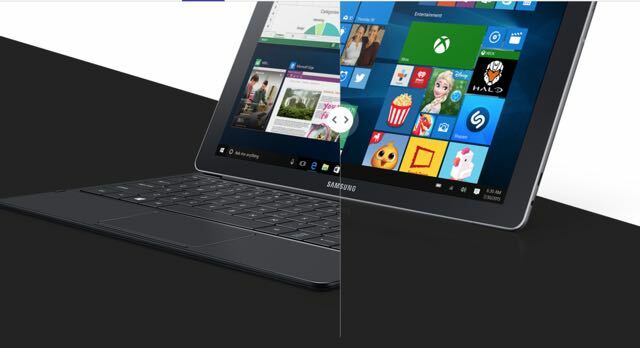 The Samsung Galaxy TabPro S is a sleek and slim device that will suit users who want the flexibility and convenience of a tablet and laptop in one. 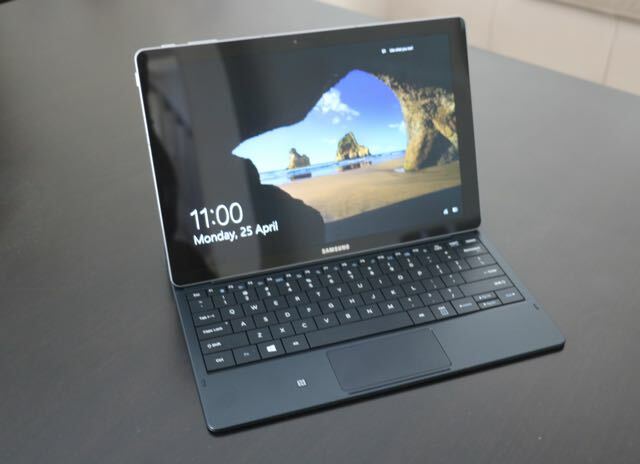 For those deciding if they should buy a tablet instead of a new Windows laptop for your everyday computing needs and tasks, the Samsung Galaxy TabPro S should be on your list of products to consider.